So, you’re either a school leaver, graduate entrant or career changer looking to become registered as a teacher in New Zealand? That country offers you 25 initial teacher education provider and 84 possible qualifications, according to the Education Council’s flowchart in this PDF. If you gained your qualifications overseas, though, visit this page to check the process for New Zealand to recognise them. And you might want to visit this article by the news website, Stuff, which details some hurdles overseas-trained and experienced teachers may have to clear to teach in Aoteroa, the land of the long white cloud. It generally takes three full-time years to gain a teaching qualification – either a degree or a diploma – so you can apply to register as a teacher with the Education Council. Here’s the page for information about the graduating teacher standards. Once you’ve passed a criminal health record, a health check and one for good character, you may be granted a provisional practising certificate. This certificate will allow you to be employed as a teacher in free kindergartens, primary and secondary schools (state, integrated and independent schools) and kura. It is also needed for most teaching positions in early childhood centres. However, if you’re planning to work as an alternative education teacher, find out more about the issues from this article. So, with a provisional practising certificate in hand, you’ve got two to six years to be inducted and mentored to gain your full practising certificate. This page and this video will tell you more about how to meet the induction and mentoring requirements. In short, it means gaining teaching experience that meets the Standards for the Teaching Profession. This certificate must be renewed through appraisal every three years. Think again before you dip in and out of the teaching profession in New Zealand. In October 2017, the Education Council required provisional teachers to do a refresher course every six years to keep working. That course costs $4000. Another option, according to the Education Council, is an in-school induction and mentoring program which the education ministry funds. That takes into account relief teachers’ classroom experience. Read more about the issue on this official Education Council page or this article. Skills in areas of need (current teacher shortage). But, please note, it’s illegal to be appointed as a LAT to a permanent role. LATs aren’t meant for teacher aides or other support roles as these aren’t considered to be teaching positions. You can find out more about LATs on this page. Teachers must follow the Code of Professional Responsibility and Standards for the Teaching Profession. These came into force at the end of June 2017 and set out what it is and means to be a teacher in New Zealand. You can download the 24-page code and standards here, and examples of it in practice covered in 24-pages here. Still stuck? This page gives links to an alignment matrix and quality practices template – with the latter available as an audio recording, too. A quick refresher is available here as a one-page document. Note, the New Zealand Code of Professional Responsibility and Standards for the Teaching Profession are both loaded into Educa, available for linking to learning stories and to entries in your teacher portfolio. Learn more here. To find out about the state of early childhood education in New Zealand, this page gives you statistics on participation, staffing, services, language use in the sector and finances. Meanwhile, this page will give you the lowdown on schooling. It covers student numbers, teaching staff, number of schools, resourcing and more. Teachers who are fully certificated need to do ongoing learning and development to ensure they provide high quality teaching. You should do this through the Education Council’s workshops on the core standards for the teacher profession and become familiar with Tātaiako: Cultural Competencies for Teachers of Māori Learners. Teachers in Māori settings should check out these useful resources. This PDF gives you a flowchart to guide you on renewing your practising certification so you can maintain full certification. You need to renew your practising certificate every three years. The checklist includes ensuring you’re of good character and fit to be a teacher, have completed sufficient PD in the past three years as well as satisfactory recent teaching service. You also need to have been meaningfully assessed against and have met the Standards for the Teaching Profession. To renew your certificate, you need to fill in the EC30 application form – you can do so via this link – and also have New Zealand police clearance. The Education Council will source that directly from the New Zealand Police Vetting and Validation Service. 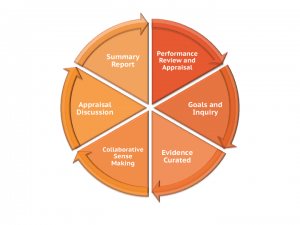 The Education Council’s guidance on putting together a portfolio of evidence is here. Educa provides a teacher portfolio for all educators, designed for this purpose. Would-be teachers should also keep an eye on announcements from the New Zealand Ministry of Education. It’s mid-way developing its 30-year strategic plan for education – including early learning – in the country. This website will link you to the latest media release and the cabinet paper outlining the process and key dates from September 2018. Educa reports on education issues in New Zealand through our blog. To learn about New Zealand’s early childhood Te Whariki curriculum here.